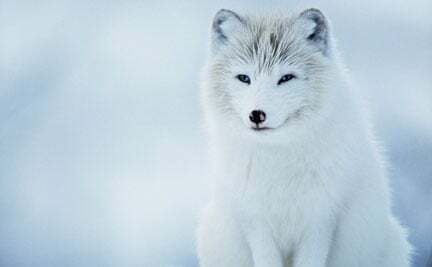 Usually found in coastal areas, the arctic fox lives within arctic and tundra regions throughout Europe, Asia, North America and Greenland. Although they prefer small mammals, arctic foxes are opportunistic feeders and will eat anything they can find, including berries. Fur trapping, habitat loss and predators such as the red fox threaten this species’ survival.